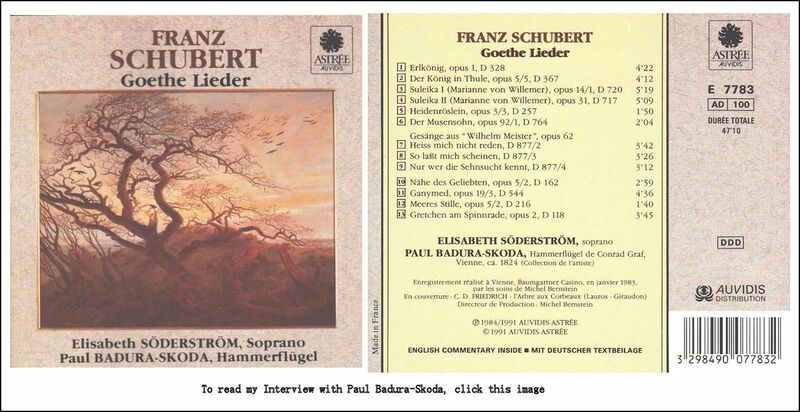 Elisabeth Soderstrom Interview with Bruce Duffie . 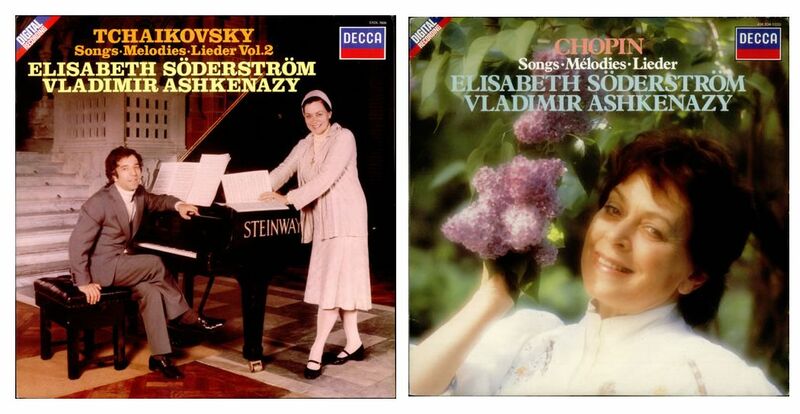 . . . . . . . .
Born in Stockholm to a Swedish father and a Russian mother she studied with the Russian pedagogue Andrejewa de Skilondz (also Adelaïde von Skilondz), former a leading coloratura-soprano at The Imperial Opera of St. Petersburg and at the Berlin Hofoper. Söderström made her debut as Bastienne at the Drottningholm Court Theatre in 1947. The following year she sang in Grétry’s Le Tableau Parlant. 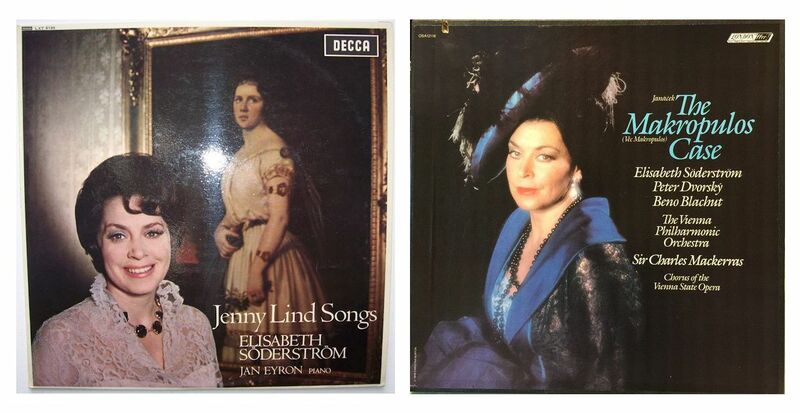 In 1949 she changed to the Swedish Royal Opera and was to become an admired member for many years. She appeared in the following roles: Pamina, Sophie (later, Octavian and the Marschallin), Louise, Violetta, the four soprano roles in Les Contes d’Hofmann, Regina in Hindemith’s Mathis der Maler, the title roles in Jenufa, Kat’a Kabanova and The Affair Makropulos, Tatyana, Mimì, Euridice and a number of first performances of modern operas. Accepting her teacher’s advice she sang neither Verdi nor Wagner. 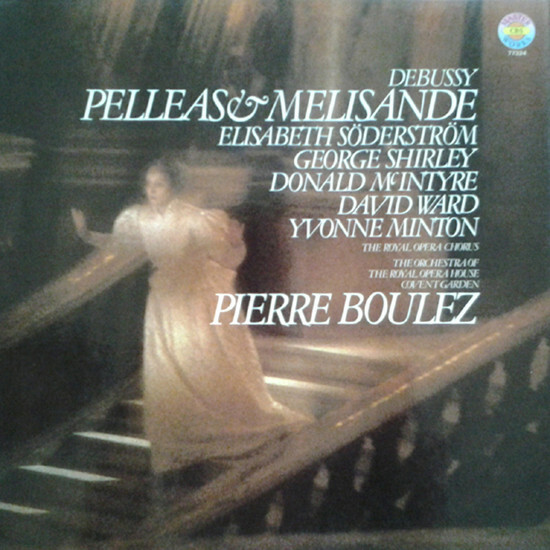 She made her Glyndebourne debut in 1957 and remained a favorite singer there until 1979, singing the Composer, Octavian, the Countess in Capriccio, Susanna and Leonore. She appeared at the Salzburg Festival and was a frequent guest at the Vienna State Opera. Her Met debut was as Susanna in 1959 and she first appeared at Covent Garden with the Royal Swedish Opera as Daisy Dodd in Blomdahl’s Aniara (1960). She also visited Australia where she debuted as Emilia Marty. She gave her first song recital in 1947 and she soon became an accomplished lieder singer and appeared as a recitalist in all continents. In 1965 she joined the Stockholm Music Academy. She was decorated many times. From 1991 until 1996 she was the director of the Drottnigholm Opera Festival and also worked successfully as a stage director. 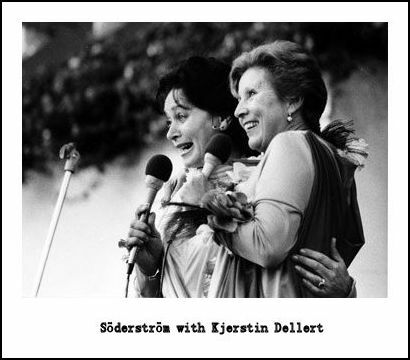 In August of 1997, Söderström was at the Ravinia Festival (the summer home of the Chicago Symphony) to give master classes for young vocal students. She graciously agreed to meet with me, and here is the conversation that took place at that time . . . . . . . . .
Bruce Duffie: You’ve had a wide-ranging repertoire in your career. How did you decide which roles you were going to sing, and which roles you would decline? Elisabeth Söderström: I’ve only said ‘no, thank you’ to two parts. One was Arabella because I started giggling when she was at her deepest emotion. I thought she was so funny, and the other was Katerina Izmailova. I didn’t like the idea of poisoning my husband with mushrooms. I had the good fortune of belonging to a repertoire company, being a member of the ensemble there in Stockholm, and you had to sing what you were asked to sing. So the opera management decided for you. BD: Were there some parts that you looked forward to, and other parts you had trepidation about? ES: Yes, especially because very often I was given big roles. Somebody had stepped out of the production and I had to learn the role in very short time. So it was tough, but it was also a fantastic school, and a great treat to have a chance to develop as an artist within a company. But then when I started being invited to countries around the world, if I had to choose between different offers I would choose the part that interested me more than the money. ES: Both. I’m not very good at singing in operas where you live on the arias because I’ve been looked upon as a singing actress. BD: Then let me ask the ‘Capriccio’ question. In opera where is the balance then between the music and the drama? ES: The combination of the two is the fantastic thing about opera, and if you one part is missing, that’s when I don’t like it. BD: In some operas do you have to put in more drama than is really there to make up for the lack of drama in the opera? ES: No, I don’t think so. There are different ways of approaching a part. 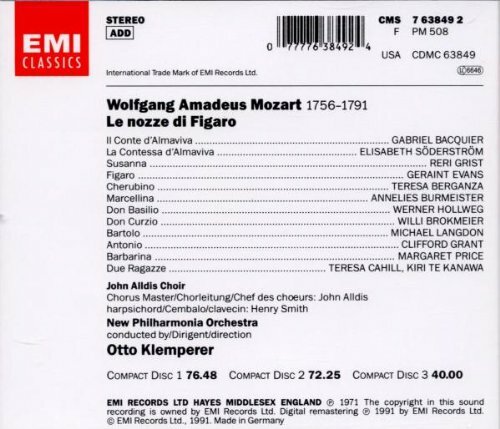 I always wanted to live my characters on stage, and if you look upon, let’s say, the big eighteenth century operas by Gluck — Alceste and Iphigenie — they seem dusty. But when you start studying them, and start studying the problems of people who were ruled by the antique gods, you have such interesting problems and emotional developments which you would never dream of. BD: So you have to make them live? You have to bring them to life? BD: Is it you who is bringing them to life, or is it the composer that is bringing them to life? ES: In opera we have so much help from the music that we must always be grateful to the composer. However, sometimes we think it’s a pity that he has already decided what we’re supposed to think and feel, and how to behave on stage in the part. BD: When we move into the twentieth century — and as we head into the next century — the stage director is taking over perhaps even too much. Are there times when the stage director is going against the composer and librettist, and if so, how can you handle that? ES: Yes, I’ve had a few fights, especially in the last ten or fifteen years of my career, when I’ve been asked to do things that go against my wish and belief. I learned not to quarrel, but pretend to do what they wished for, and then slowly show them that what they wanted was ridiculous. 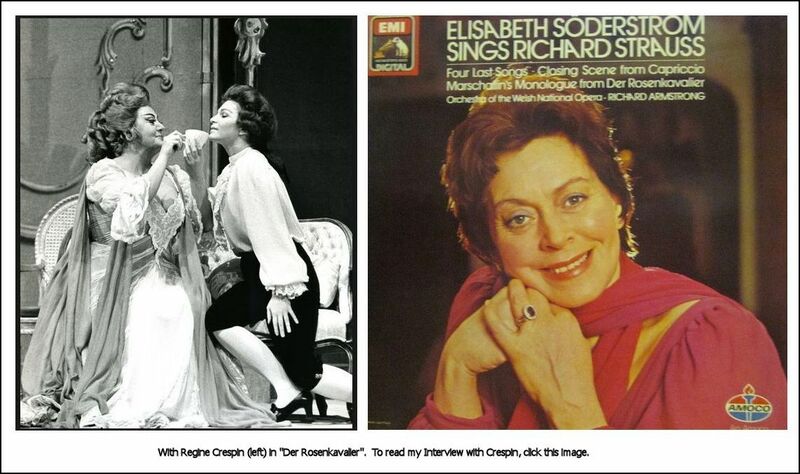 I remember my last appearance at the Met where I sang the Contessa in Figaro. It was the second season of the Ponnelle production, and I said to him that this cannot be right! We were quarreling about the Contessa. He felt that she should not be too fond of her husband, and they should have fight and be cold to each other. I asked why the hell then do I sing my arias, and then I discovered that what he had done was to build his production on the next play Beaumarchais, La mère coupable. I said this is not right for Le marriage de Figaro. I had been in many other productions, so we worked, but slowly I started to get my interpretation into the production. Then we had the dress rehearsal, and he came up to me on stage after. He came very close and looked me into my eyes and said, “Everything you did was wrong, and I loved it!” [Much laughter] That was the last I saw of him because he died very shortly after. BD: I would think that would be the ultimate success for you. ES: I was very moved because he had not fought with me during rehearsals. He just let me have my way. BD: Without mentioning names or situations, were there times that a stage director brought to you something you thought was outrageous but turned out to be brilliant? BD: Now you are currently an opera administrator? ES: I have been, yes. I left on the first of January. BD: My question is, having had these experiences — both good and bad — does that help you when you have to mediate the singers and the directors who are working today? ES: A little, yes, but I had a tough time with a stage director there. He and conductor didn’t work very well together, and I couldn’t solve it. I just found that it was the wrong combination. We had a performance which the audiences liked very much, but there were distortions. BD: Is it possible in this day and age to put on a correct performance, especially of an eighteenth century opera? ES: I don’t think you can do it as close as I had hoped for. We can’t imitate the style around a performance because there are so many things in the body language of the eighteenth century to which our audiences don’t have any frame of reference. So they don’t understand what we mean with our gestures. First you need to educate the audience if you want to be very, very correct in to details, but you also have to adopt a style which can be understood by modern audience while keeping it as close as possible to what you believe it might have looked like in the eighteenth century. It’s very interesting. BD: So in addition to the singers and other musicians having to be versatile, you’re asking the audience to be versatile, also? ES: Yes, we ask a lot of our audiences. [Both laugh] But I have been on stage fifty years now. 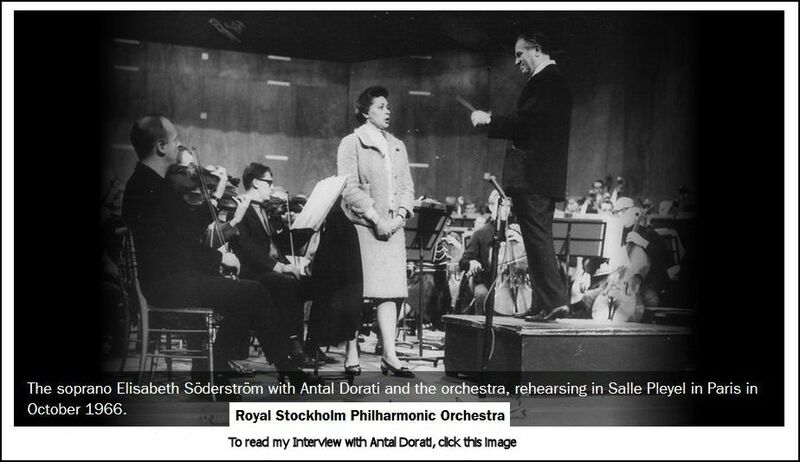 I made my debut in 1947 in Drottningholm and that’s why I wanted to finish my work in January 1997, because that was exactly fifty years that I’ve been connected to Drottningholm. During my period as Artistic Director there, I saw a few pupils in the stage director class at the Royal School. They staged three one-act operas as exam work, and all three young people had placed the action in the 1950s. To me, the 1950s is an ugly period. I don’t like the clothes we wore during in that period, but then I started thinking. The young people look back from 1995 to the mid-’50s, and that’s forty-five years. I went to the Opera School in ’46, and if I look back at the same amount of time, I would end up at the turn of the century. It suddenly dawned upon me that they are as far away from 1950 as I would be from 1900. You forget that when you live long. BD: So that for them it is history, and for you it is nostalgia? ES: Yes, and I just don’t want to live that time again. Actually it was a wonderful time because the borders opened and the Great War was over, and you could again travel. I sang a lot in England and in the Scandinavian countries, and also in Hamburg. I saw all these places in ashes, and they were starting to rebuild the cities. It was an exciting time from that point of view to see how quickly the musical life around Europe was brought back. BD: You’ve also done some contemporary operas. 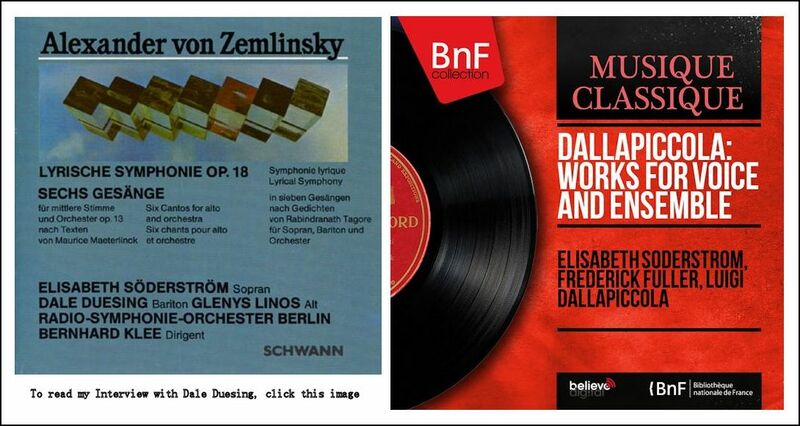 BD: Is opera continuing to move on in a linear path? ES: [Sighs] The problem of contemporary operas very often is because the libretti chosen are not down to earth, as an opera libretto should be. Think of the operas have worked. Wozzeck and Lulu are going to be there forever. 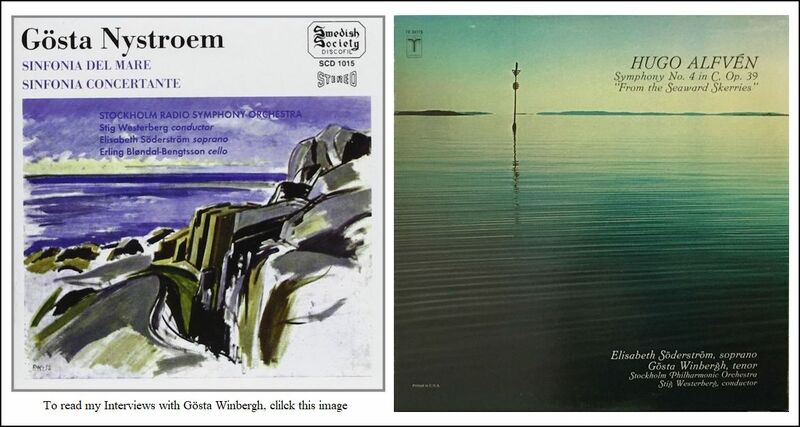 I’ve seen many things by the Swedish composers Karl-Birger Blomdahl (1916-1968) and Ingvar Lidholm (b. 1921). 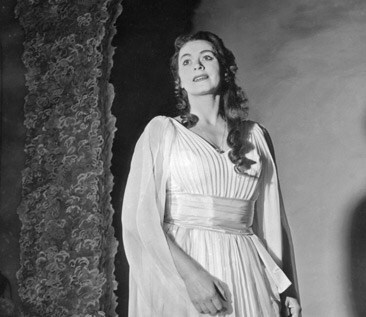 Blomdahl’s opera, Aniara (1959) was very successful. [Besides the stage versions, Söderström appeared as Daisy Doody in the 1960 Swedish TV movie of this work, along with Erik Sædén, Arne Tyrén, Bo Lundborg, and Ragnar Ulfung, conducted by Sixten Ehrling.] It’s about a space ship, and they’re going to start a trip from the Earth to Mars. It was a routine evacuation trip because people could not live any longer on the Earth. So they were brought to Mars, but on the way they had to turn so as not to collide with an asteroid. They lose their trajectory and end up in orbit, and they’re then doomed to orbit forever. The opera is mostly about when that collision happens, and how people react when they realize they’re going to be locked up until they die. It was very scary when it was first performed, but nowadays when we tried to revive it, people didn’t find it at daring at all because this is what happens. Also, we’ve seen what Mars looks like, but at the time, that opera really was a revelation. It was what a contemporary opera can be. I also remember in 1950 we had Menotti’s opera, The Consul at the Royal Opera, and it was fantastic because it showed the problem of people trying to get a visa to go to another country to avoid the political problems in their own place. BD: This was at the height of the Cold War. ES: Yes, and it dealt with the tragedies that you see in the Consulate when they don’t get their papers. That was also a very, very strong performance. BD: Does opera always have to be about real life and real problems, or can it be fantasy also? ES: It can be fantasy. I loved very much doing The Aspern Papers by Dominick Argento because I thought that was also a real drama with point. So I loved doing that. BD: [With a gentle nudge] You mean opera has to have a point??? ES: [Laughs] If you get the right subject in the libretto, and the opera is performed at the right moment, when it’s actual, opera today has a very great chance to live. BD: Then let me ask the big question directly. What is the purpose of music and opera? ES: We are there to suffer the problems which people are afraid of in the real world, perhaps. I have found that there’s a great need of not only entertainment, but of keeping people busy and interested in something during all the leisure time they have nowadays. We also have to fight all the entertainment which is pouring over us without us having to use our brains to receive it. I’ve studied the brain very thoroughly, and I want music to be used in rehabilitation for brain-damaged people. Music affects the place in the corner of the brain which is the last part to go if you have senile dementia, or if you’ve had something happening to your brain. BD: You lose your motor skills and other things first? ES: Yes. I’ve seen it help very many people to use music as therapy, but also I have seen it in homes for what we call ‘vegetables’ — people who sit there day in and day out without any interest for anything. If you can reach them with what we call ‘fine culture’ during their active years, then it is a great help for them when they come to an age when they cannot move around as much as they used to. They can listen to music which activates their minds, which activates their brains, and, let’s face it, classical music does. If you go to a Lieder recital or an opera, to enjoy it properly you have to prepare yourself. In so many places in the world you have preparation hours before the opera starts, and that’s a fantastic thing not only because it helps them enjoy the performance, but it activates their minds, and it activates their brains. I always say to my pupils to learn new things because the more you use your brain, the easier it gets and the better you feel. If you stimulate your brain, you stimulate your whole system — your body, your immune system, everything. That has been scientifically proved, so it’s not only grandmother talking. BD: So opera and music can not only be something essentially uplifting, but it can be stimulating for the mind too? ES: Yes. We’re really working for to make people healthy. BD: Not just for the old, but for the young as well? ES: Yes. We must do something to save the hearing of the young people because they’re in great danger. BD: Is the music that you perform, and the music that you studied all your life, for everyone? ES: It can be. When I first started in Stockholm we had very scarce audiences, both for opera and Lieder recitals right after the War. I started singing professionally in Vienna in 1947 when I was still at the opera school, and you had to think up new ideas to attract audiences. ES: No, but, for instance, a way to present a Lieder recital when people in the audience didn’t understand German or French or even English. I tried every possible way, and it varied because of who was in the audience. If you have a very studied audience, you don’t need to go into details, but there are always a few people who perhaps have never been to a concert before. Around 1972, Kjerstin Dellert and I did a very popular series on television called Prima Primadonnor. 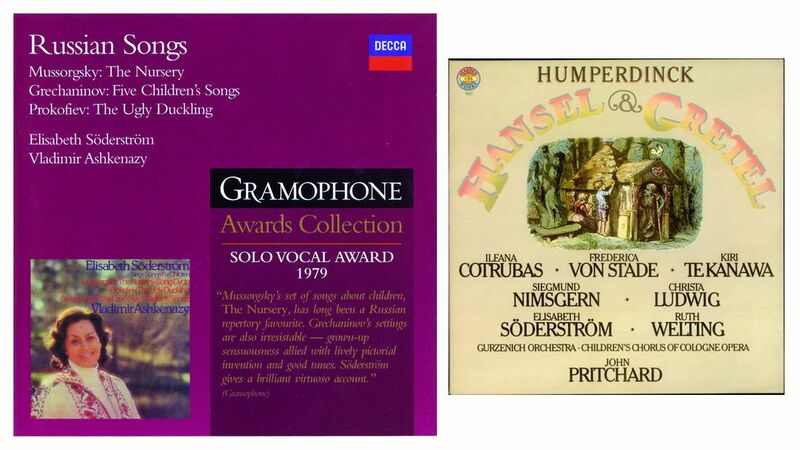 These programs had a mixed-bag of music and little stories between things, and they became extremely popular. During that period I was invited for a recital for an audience in Sweden, and they had asked me for, among other things, Frauenliebe und Leben. When I arrived, I was met at the airport, and the man in charge of the concert was very pale. I asked him what the problem was, and he said that it was sold out. BD: [Surprised] That was a problem??? ES: He said, “We have 800 seats, but usually only 150 people come to these concerts. The others have never been to a concert like this before, and they have come because they’ve seen you on television.” I said that was my problem, and he was not to worry. BD: He was afraid they wouldn’t understand? ES: Yes, but I told him it’s going to be great. So I started the recital as usual, but then there was a little rustling in the audience. So I said, “Would you like me to tell you what the songs are about?” There was a big roar of “Yes!” from the audience. So I did, and when we came to Frauenliebe und Leben, we had a wonderful chat about how it is to love a man, and have a child by him, and then suddenly he dies. It was fantastic. So everything depends upon whom you are singing to, and who has come to see you, and what they expect of you. BD: So aside from the 150 that usually come, you had 650 new converts? ES: Yes, and that is the thing which has made me most happy in my long life as a singer. I treasure those letters when people say, “Thank you for helping me open the door to this fantastic world of classical music because I’d never been to a recital.” Or, “I’d never been to an opera until I heard you sing this, and it has changed my life completely.” And, “I feel so rich, and look forward to all the things I’m going to meet now.” [Sighs] That is really a reward. When I started singing, I never thought that anybody else but I would have any pleasure. I enjoyed so much being on stage, and I never thought about the people sitting out there. Then year by year I found I could share my happiness, and what this kind of music gives me I could communicate to other people. It was a new revelation. BD: Now that you’ve left the singing part of your career, you’re instilling this same kind of idea of sharing, and the love of the music into the next generation? ES: I’m very happy that there’s something I can do. It was very difficult to decide to give up singing but I solved it partly by taking the administrative job. I think they gave me that job at Drottningholm to stop me! [Has a huge laugh] I’ve been very busy. I’m used to doing master classes, and I found that it’s very good for the young singers. But they have such a tough time trying to get publicity, or getting to sing in front of audiences, so it’s good for them, and it’s good training for all these horrible auditions that they have to do nowadays. They have a very tough life, and I admire them so much because they seem so calm, and they look so composed. However, when I say ‘thank you’ and press their hands, they’re cold and wet! [Both laugh] They have suffered so much, but they are so good. You don’t hear it in the voice that they are scared. BD: They are good actors? BD: Is it much more difficult to break into singing now than it was fifty years ago? ES: Yes, because there aren’t many real places where they can develop gradually. San Francisco has this wonderful Merola project, and also Houston where they take good care, and also at the Met. ES: Yes, so it does exist, but it’s not the safe way of earning a living when you’re on your way up. But, of course, with a voice you can never be safe. [More laughter as she starts to sing gently from Noel Coward’s Don’t Put your Daughter on the Stage] ‘It’s a loud voice, and no it’s not exactly flat. It takes a little more than that to earn a living wage! Repeat Mrs. Worthington! Sweet Mrs. Worthington! Don’t put your daughter on the stage!’ It’s one of my favorite songs. BD: We’ve been talking quite a bit about operatic roles, and we’ve spoken of Lieder just a little bit. Can I assume that in a song recital you have much more control over what you’re going to sing? BD: ...which they discovered and then exploited! ES: Yes. At the composers’ class at the Royal Academy, they would come with a sheet of music and say, “I just wrote this song. Can you please sing it so I can hear what it sounds like?” [Much laughter] This rumor spreads immediately. Here’s a silly singer who’s ready to sacrifice her vocal cords on the art of contemporary music. So that led to invitations to Cologne, to the Westdeutscher Rundfunk, where they have the center for contemporary music, which then in turn led to other engagements. So I started really had a quick take-off [imitates the sound of a rocket launching]. It was fantastic. BD: Do you have any regrets about that? ES: No. I worked very hard because I don’t have perfect pitch, and it took me very long to learn these things. It gave absolutely no money, but it started me off. At the same time I was engaged at the Royal Opera as a student at the opera school, and then I got a contract, which meant that some weeks I could be on stage seven nights a week. ES: In major and minor roles. You had to do everything. I was a Page in Lohengrin and the Shepherd in Tannhäuser, and things like that. Then the next evening it was Martha by Flotow. We also did things Mathis der Maler of Hindemith. BD: I would think this would keep you grounded — to sing the lead role one night and the Page the next night. ES: Yes, very much so. You’re not allowed to grow too far in Sweden, no, no. BD: So it was completely opposite? BD: Do you find with every conductor that you have to unlearn the past, and come to it new? BD: That must be terribly confusing, especially after a number of performances, or a number of productions of the same work. ES: Yes, you have to have a clear brain. You must be sober. BD: On to another composer in your repertoire. Is there a secret to singing Richard Strauss? ES: Yes. My singing teacher [Andrejewa de Skilondz, also known as Adelaide von Skilondz (1882-1969)] was one of Strauss’s very early Zerbinettas. [Skilondz recorded the aria of Zerbinetta on March 6, 1913, less than five months after the world premiere of the original version.] I asked her if Zerbinetta was a very difficult role, and she said, “Oh, no. It’s so well-built into the tessitura of sopranos. 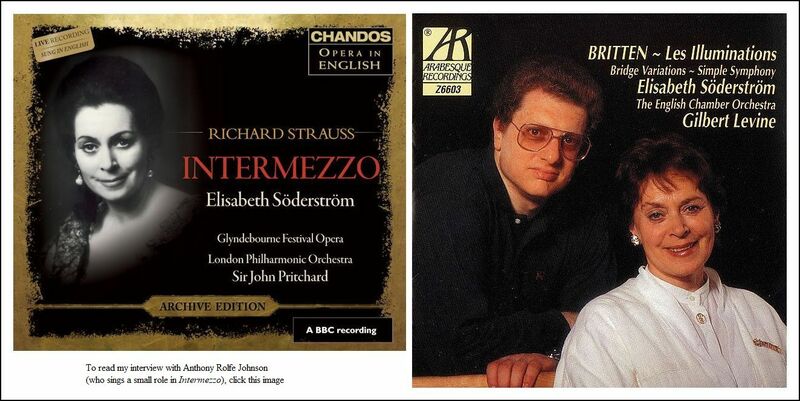 I found it so easy.” If you approach Strauss as the benefactor of the soprano voice, you have already come a long way. He has given you so many wonderful scenes to sing. Also, if you forget about being very strict bar by bar, and let your voice float, then you have come a little way on understanding Strauss’s music and how to sing it. BD: Use his score as the take-off point, rather than as the ending? ES: Yes. 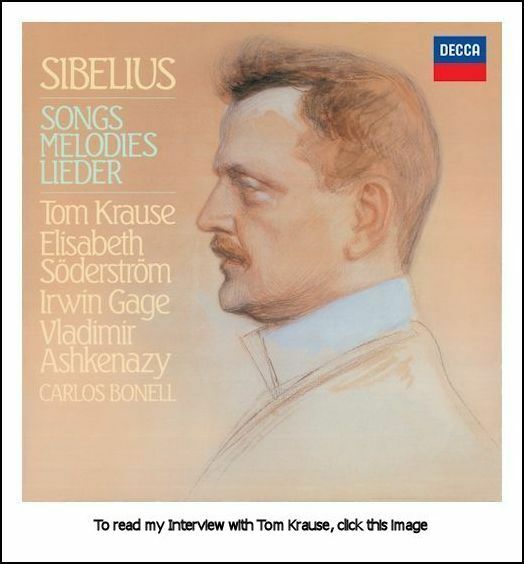 There are also so many fantastic songs by Strauss. I’m so glad some of my pupils are singing them. BD: I feel like you’ve really answered this question, but I do like to ask — is singing fun? ES: Yes, if you don’t have a sore throat! [Much laughter] But then on the other hand, you have a sore throat so often that you better learn to work with the sore throat. BD: So I take it then you very rarely would cancel? ES: I have not canceled very often, but there are a few things that I’m allergic to. For instance, air conditioning has been very dangerous in my life. BD: Because it’s so dry? ES: Yes. That hampers social engagements and parties. BD: [With a gentle nudge] You mean singers should have a social life??? ES: [Laughs] Yes, but I haven’t so far this week because I’ve been going to bed at 7 PM and sleeping until 2 o’clock at night. BD: Did you sing differently for the microphone than you did for the live audience? ES: Occasionally, yes. I’ve done so many different kinds of musical performances. On radio we did musicals, and I’ve sung small songs and popular songs. We did a lot of opera on radio during the ’60s. BD: What about commercial recordings? 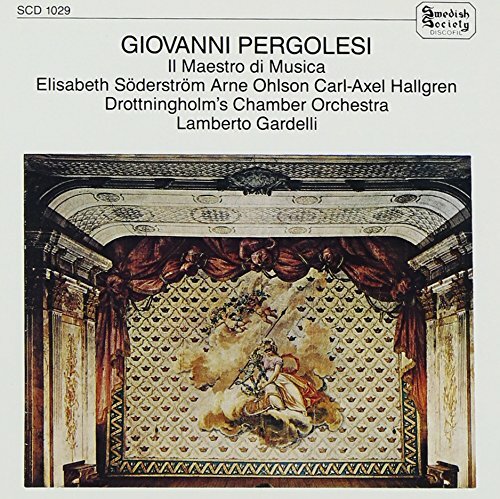 ES: On the commercial recordings with opera orchestras, you sing as if you were on stage. BD: What about for a song recital? ES: For song recitals I also have sung as if I were on stage, but there you can afford a whisper. What has been most important is that I was allowed to do both Lieder and opera, because in opera you paint with a very broad brush for its big lines and grand style. When you come to Lieder, you have to work in detail, and you can do so many wonderful things that really don’t work in the same way on an opera stage. BD: I’m so glad that you’re now working with young students and passing all of this along to them. It can become very infectious in a good way. ES: There is so much one can do. Now from the technical point of view, to cross the difficult language border between audience and performers in Lieder, we ought to try new ways of helping the audiences. But I don’t want surtitles. BD: You don’t like surtitles? ES: In opera it can work, but there are difficulties. The language is difficult, but I don’t know the answer to the question of what we should do for the Lieder concerts. BD: Are you optimistic about the whole future of music? ES: Absolutely, because when I see this enormous amount of young singers who learn Lieder and opera parts, and who want to spend a life in classical music, it would be strange if we couldn’t help them. BD: Thank you for all of the music, and for coming to Chicago. This conversation was recorded in Chicago on August 6, 1997. Portions were broadcast on WNIB the following year, and WNUR in 2011, and on Contemporary Classical Internet Radio in 2013. This transcription was made in 2017, and posted on this website at that time. 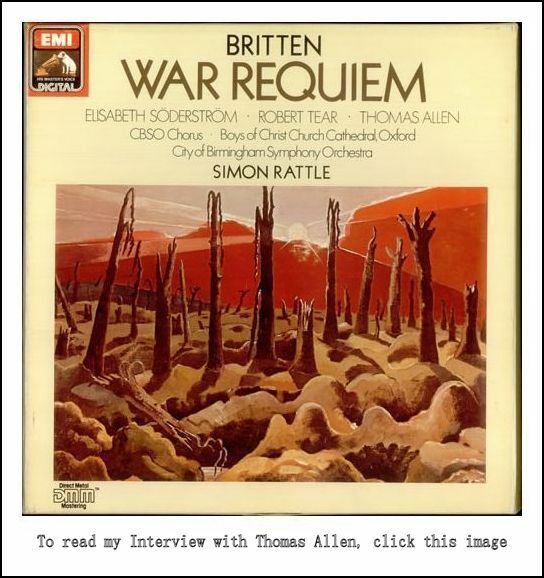 My thanks to British soprano Una Barry for her help in preparing this website presentation.